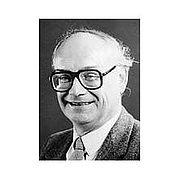 Robert Jean Knecht (born 20 September 1926) is a historian, an expert on 16th century France, Emeritus Professor of French history at the University of Birmingham, where he taught during 1956–1994. The only child of French parents living in London, he was educated at the French Lycée in London and the Salesian College, Farnborough. He graduated at King's College London in 1948 and qualified as a teacher in 1949. In 1953 he was awarded the M.A. degree of London university for which he submitted a thesis on Cardinal John Morton and his episcopal colleagues. He was then employed by a firm of industrial designers to collect and exhibit old prints and to write explanatory booklets for three theme pubs in London. In 1954 he carried out research on MPs in the Cinque Ports for the early Tudor volume of the History of Parliament and wrote the chapter on schools in Salisbury during the nineteenth century for the Victoria County History. Though trained as a medieval historian, he was appointed in 1956 as assistant-lecturer in early modern history at the University of Birmingham where he has chosen to remain for the rest of his professional career. In 1984 he was awarded the degree of D. Litt (Birmingham). His earliest book was The Voyage of Sir Nicholas Carewe published in 1959 by Cambridge University Press for the Roxburghe Club. In the 1950s Knecht travelled widely in Europe, often cycling, as tour leader for the Students' International Travel Association, based in the U.S.A. and the Ramblers' Association.In 1970 he turned his attention to French history in the sixteenth century and began research on the reign of the French king Francis I, producing the first serious work in English on that king in 1982. This he revised completely for the king's 500th anniversary in 1994. Since then he has published some twenty books on early modern French history. In 1977 Knecht formed a close association with a group of French art historians led by André Chastel and Jean Guillaume, taking part in several of their summer schools. In May 1994 he was Visiting Fellow of the Ecole des Hautes Etudes en Sciences Sociales in Paris. In 2001 he became a Chevalier de l'Ordre des Palmes académiques.Promoted to the rank of Officier in August 2010. He is a Fellow of the Royal Historical Society, an elected member of the Société de l'Histoire de France and is a co-founder and former Chairman of the Society for the Study of French History (1994–97) and of the Society for Renaissance Studies (1989–92). Knecht's 2008 book, The French Renaissance Court, has been awarded the Enid McLeod Prize of the Franco-Britrish Society for 2009. His recreations are listening to classical music, visiting art galleries and historic houses, architecture, travel and photography. R. J. Knecht is currently considered a "single author." If one or more works are by a distinct, homonymous authors, go ahead and split the author. R. J. Knecht is composed of 4 names. You can examine and separate out names.